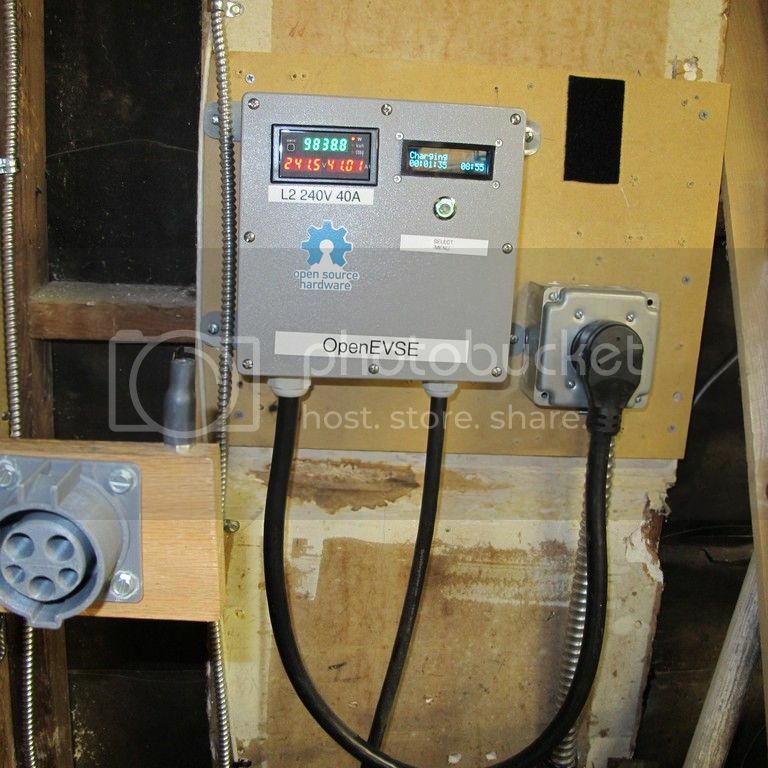 RedEnergy wrote: is the current set by the charger installed in the car or by the openEVSE? In the second case: do I need to set the EVSE to run to a lower current? The openEVSE announces the maximum current that the on-board charger can draw. You need to set the EVSE to match the circuit it's installed on and its own components (use <=80% of the circuit rating) and leave the car to figure out the rest. Last edited by fooljoe on Fri Aug 21, 2015 2:18 pm, edited 1 time in total. The charger in the car controls the current. You can set the EVSE to limit how much can be drawn to avoid overloading the circuit capacity. RedEnergy wrote: Thanks for the very quick and clear answer! is the current set by the charger installed in the car or by the openEVSE? In the second case: do I need to set the EVSE to run to a lower current? The car sets the limit as long as the EVSE offers enough current. Eg an enhanced LEAF Would draw 27.5A frpm a 30A EVSE. On the other hand it would respect the J1772 protocol and only draw 24A from a 24A EVSE even though it could dray its full 27.5A. Subject to the limits the car draws its max. There is no difference between the EVSE max of 80A and a non existent 28A EVSE. In both cases the car charger takes what it needs and ignores the rest. Buying more than you need only costs you money. It does not speed up your charging. Thanks to all of you for the answers. Since I don't need the 120v option, I think I'll buy the 50A mainly because with the current offers it is cheaper than the 30A, if I chose the "no solder" option. That's going to be easier than you think. Chris has a solution in the works using an Adafruit Huzzah board. He will be selling them on the site soon but if you want it sooner, instructions can be found in this thread. For the last couple of years I have been building OpenEVSE's for others. I thought I would post the units I use. This is my main car EVSE. It consists of a Barbouri ver 4.2 main board, A 40A range cable, 20 ft 40A Quick Charge Power J1772 cable, A RGB display with RTC, A neat Chinese multi meter that Craig Kirkpatrick suggested from Ebay, a 90A Cuttler Hammer contactor, 12V PS, MOVs for transient protection, and the GFCI and current coil. This is mounted in a 8X8X4 inch junction box. it is running ver 3.51. I have an upgraded board with 6N139s and firmware 3.9.4 for a someday project. The current version works fine. I also replaced the Lear L1 charger with an OpenEVSE unit. I can now charge at 15A on a 20A circuit or the default 12A on a 15A circuit. I store it in an old laptop case. Received my "OpenEVSE - Level 2 Deluxe Charge Station Combo (50A max)" on Saturday... installed it on Sunday. Works like a champ! BTW, the updated kits without soldering are just a pleasure to work with. I ran 6 gauge wire (6-3 plus ground) to it in case I ever need a bigger charger... The contactor/relay connector allowed for 6 guage, no problem! #6 allows for 40A, 80% of 50A. The EVSE and contactor will support that. For a Tesla based 40A charging car you just need to replace the J1772 cable. 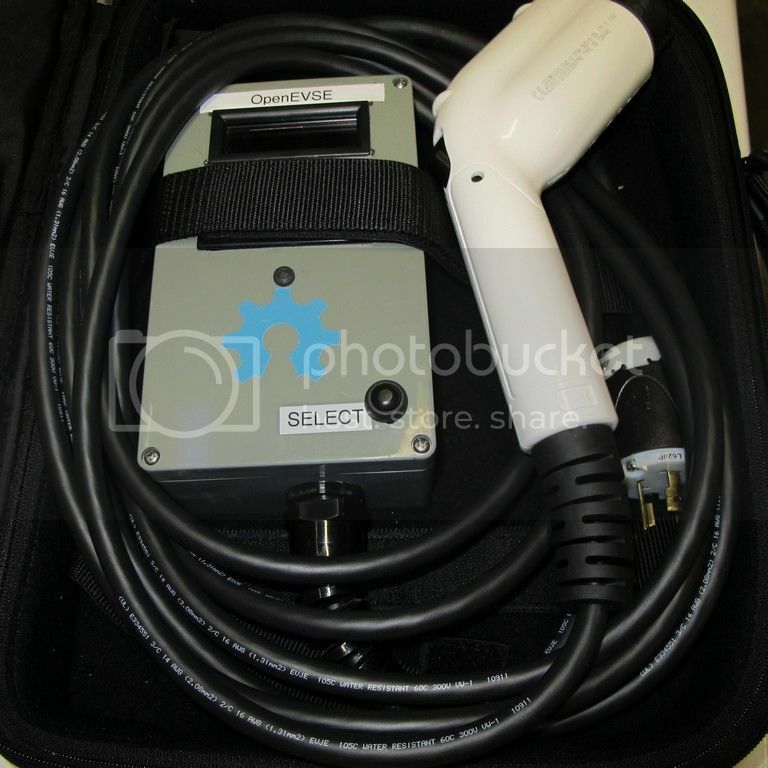 I use a Quick Charge Power 40A cable to charge my Mercedes B Class ( Tesla Based ) car. I went for overkill and used a 90A contactor, the wall shakes when it pulls in. With the proper contactor and cable the OpenEVSE board will support the spec 80A max. That said, many vendors had problems with overheating contacts so most cables max out at 50A. No car draws over 40A and most are at 30A or less. Regardless of the available current the car only takes what it needs up to the max. A first generation Leaf would take its 16A and ignore the rest. As I understand it, the original spec was for 30A max but Tesla insisted on a higher limit. 80A would be the level for a Tesla dual charger car. Updated Open EVSE DIY 4.23 board populated and ready for testing this weekend. 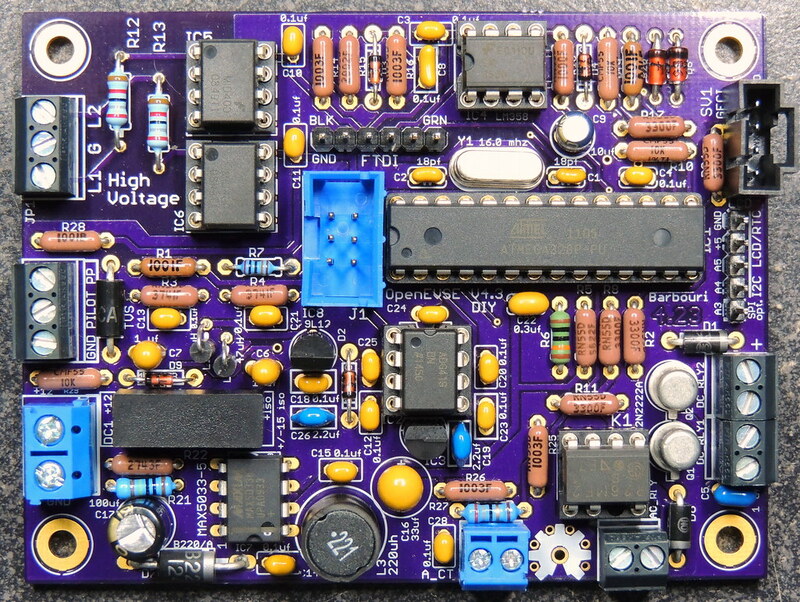 Barbouri wrote: Updated Open EVSE DIY 4.23 board populated and ready for testing this weekend. It looks good! If you connect pins 1 & 2 of the Mid400 sockets you can use the much cheaper 6N139s and reduce the loading by using 220K dropping resistors. Pin 1 us used by the 6N139s but it is ignored by the MID400s. The 6N139s are about 10% of the MID400s cost. They now use a half wave detection scheme so an AC device is not required. You do have to use high voltage series diode or 1N4148 shunt diodes so the device sees DC. I have your ver 4.21 unit using them with 220K resistors and 1N4004s in the fuse positions. Since the 6N139s are CMOS compatible they require a very small input LED current.